This is the card I made for Mum's Birthday this year. I used the Harvest Berries background from PTI and the butterfly is from the Sixxiz & Hero Arts Antique Flower and Butterfly set - unfortunately I have lost the dies somewhere so had to cut it out by hand! 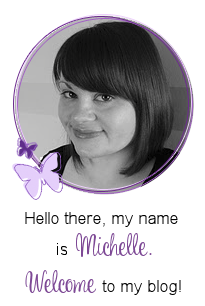 Mchelle, this is absolutely stunning. I bet your mum loved it. This is beautiful. I love the purple and green together. 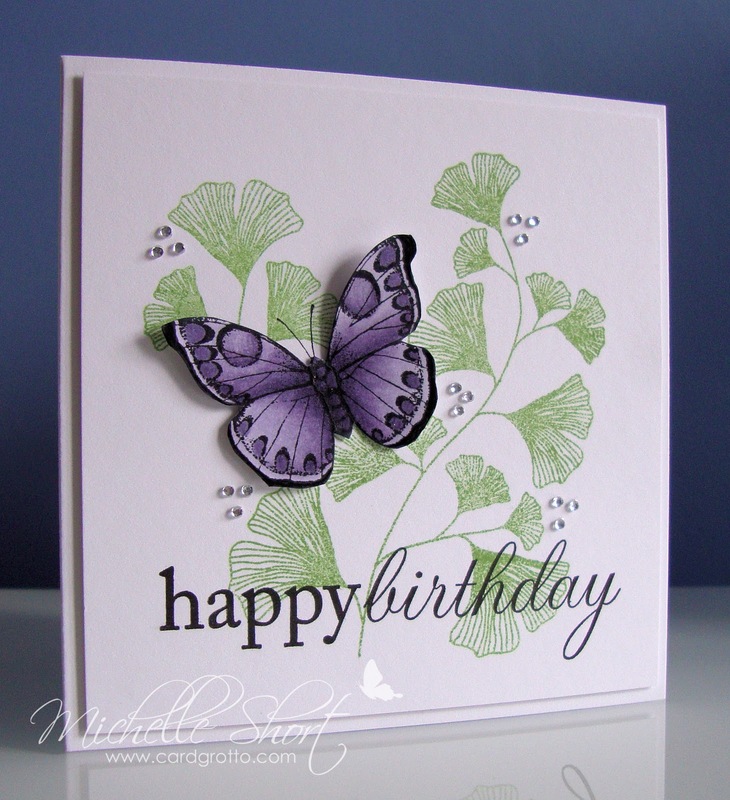 Gorgeous card and your butterfly is so lifelike it looks as tho it's about to take flight! 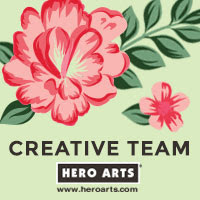 I love this card!Thanks for sharing. 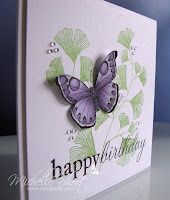 Wow, gorgeous card, love the colours. Butterfly is gorgeous. 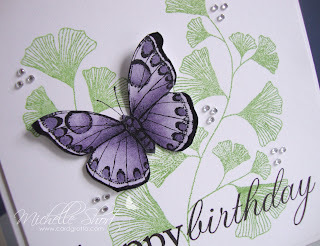 Michelle this is a gorgeous card, love the colours and style.